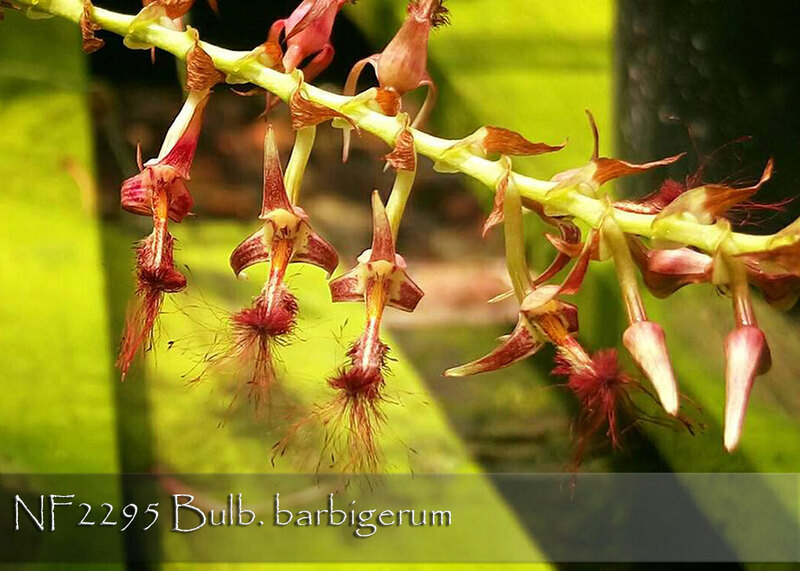 One of the most charming of Bulbophyllum species, Bulb. 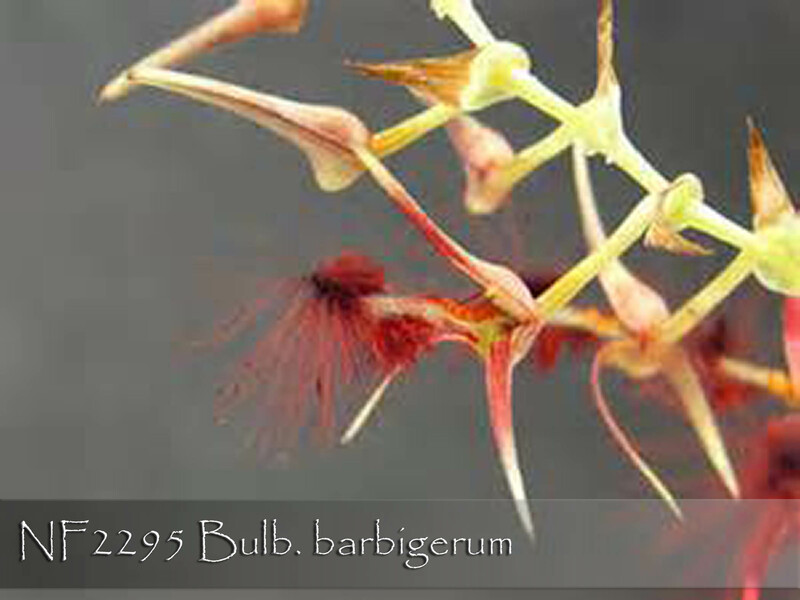 barbigerum loves growing under Phalaenopsis conditions! 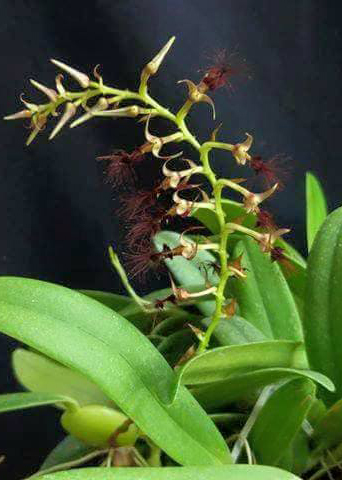 In nature it's found on mossy tree trunks or in the crowns of trees as a small grower that will tolerate warm to intermediate growing conditions and it’s one of the few Bulbophyllum species endemic to Africa. 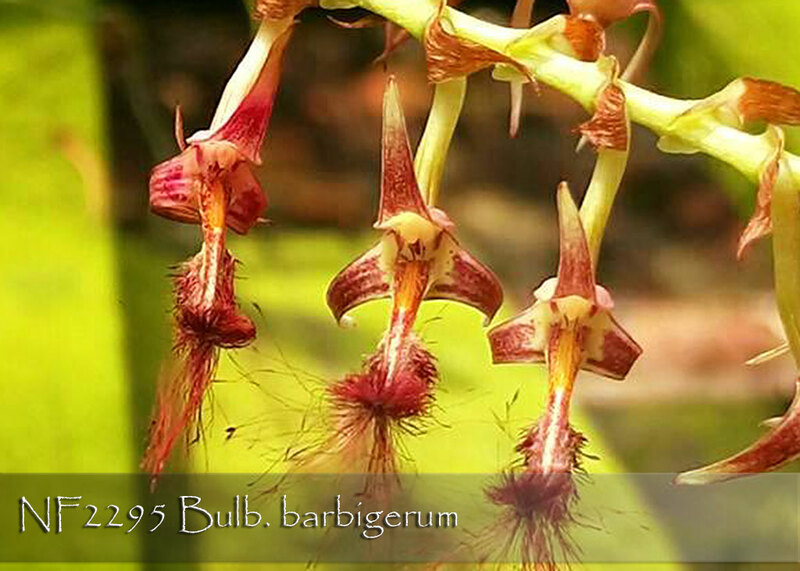 A spring to summer bloomer, each erect inflorescence can carry several of its wonderfully hairy 2.5 cm flowers. 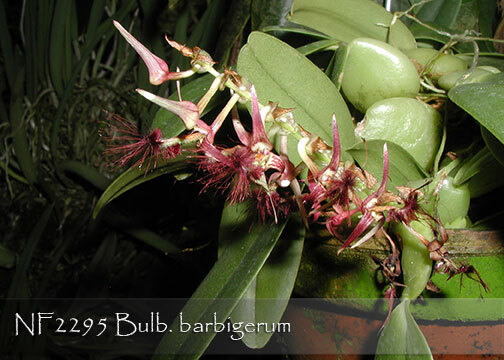 When grown warmer, it’s perfect to grow under Phalaenopsis and Paphiopedilum conditions. 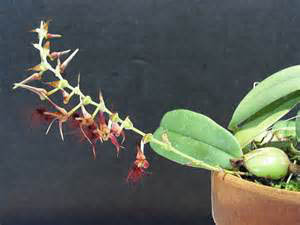 This particular species, unlike the Asian Bulbophyllums, enjoys a drier period during the winter months for optimal spring flowering. Highly Recommended!